Legal action is, today, being commenced by the Independent Workers Union of Great Britain (IWGB) who are seeking union recognition and workers' rights for Deliveroo riders. Such collective bargaining provisions are only available to those with the status of "employee" or "worker", not those who are operating on a self-employed basis. 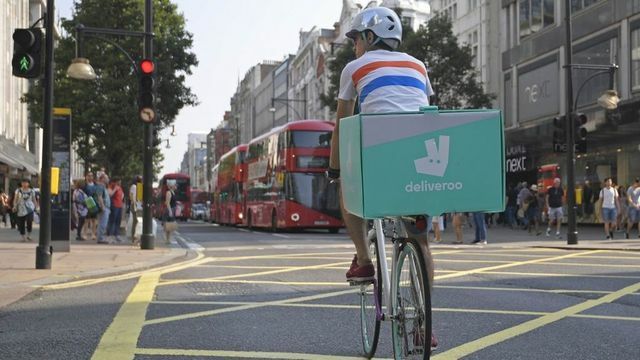 This action for Deliveroo drivers presents a further challenge to the "gig economy" business model, which is already under scrutiny, the BEIS committee having announced earlier in October a review of the changing nature of work and atypical working. This action also follows the much publicised decision of the employment tribunal on 28 October 2016 which held that Uber drivers are in fact "workers" and not independent contractors, and consequently are entitled to the national minimum wage, holiday pay and other rights available to "workers". Deliveroo provides restaurants across the country with a delivery service and classes the riders as self-employed "independent contractors". It has been reported that the 8,000 riders in the UK are paid £3.75 per delivery rather than an hourly rate. It is also alleged that they can be waiting for up to an hour without a delivery coming, during which time they do not receive any pay. The IWGB has stated that if its request for recognition is ignored or rejected by Deliveroo, it will proceed with tribunal action. Dr Moyer-Lee, the IWGB General Secretary said "Gig economy employers like Uber and Deliveroo claim their workers don't work for them but are rather independent contractors running their own businesses". “The notion that Uber in London is a mosaic of 30,000 small businesses linked by a common platform is to our minds faintly ridiculous. In each case the ‘business’ consists of a man with a car seeking to make a living by driving it”. Uber has said that it is appealing the decision. "The nature of work is undoubtedly changing. It will change further with growing use of technology and a spreading of automation across the economy. This might provide flexibility and choice for some people, but unleash insecurity and squeezed working conditions for others. With these economic and technological changes shaking up the world of work, it’s vitally important that workers are protected. In this inquiry we want to hear from all interested parties so that we can help the Government foster a vibrant, dynamic, innovative economy with laws that deliver the benefits of flexibility but which prevent exploitation". Shadow business secretary Clive Lewis MP said: "If Deliveroo and Uber want to bring forward these new technological platforms, then they have to ask themselves is their business model sustainable if they have to exploit their workers to be able to make themselves viable."